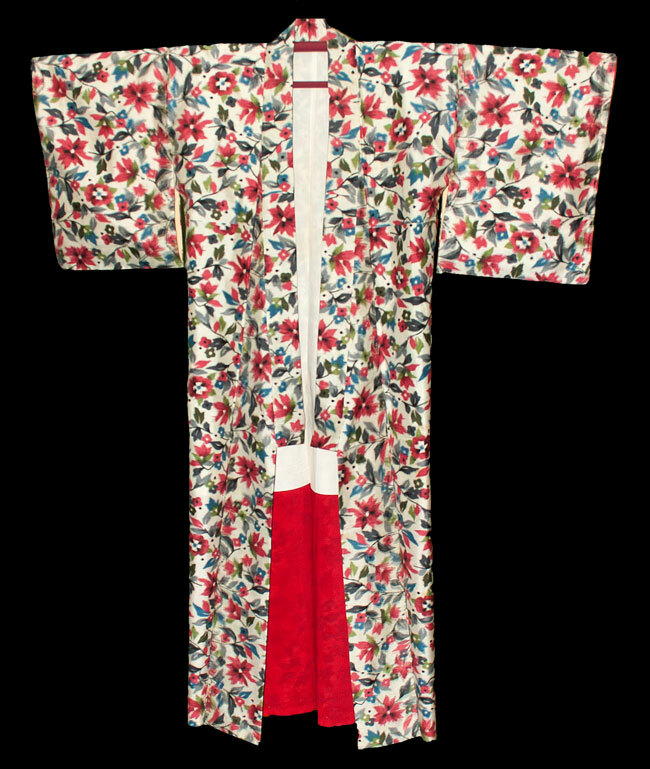 Kimoyes item: 21463 - Beautiful floral meisen silk haori with summer flowers on cream. 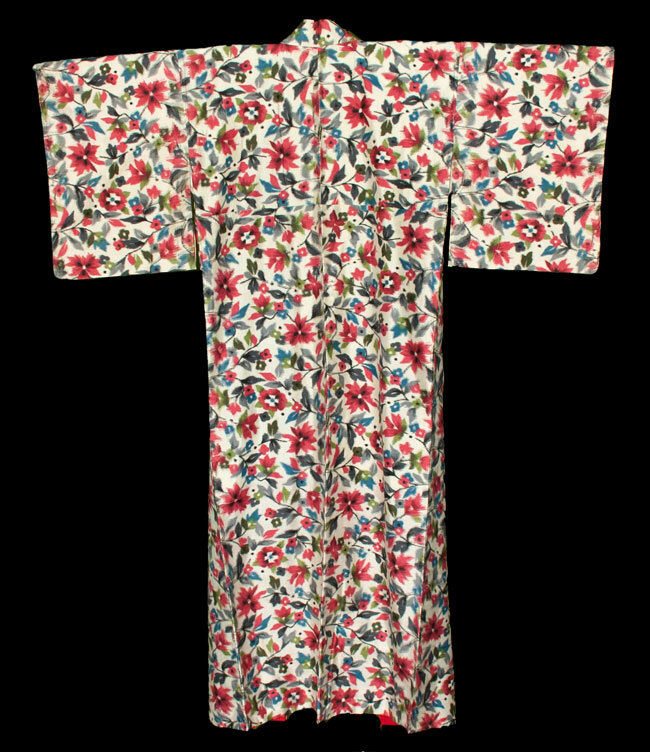 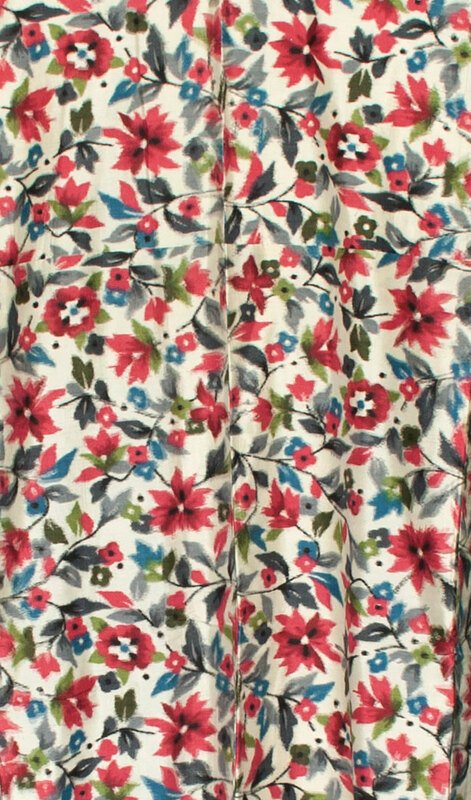 Beautiful floral meisen silk haori with summer flowers on cream. 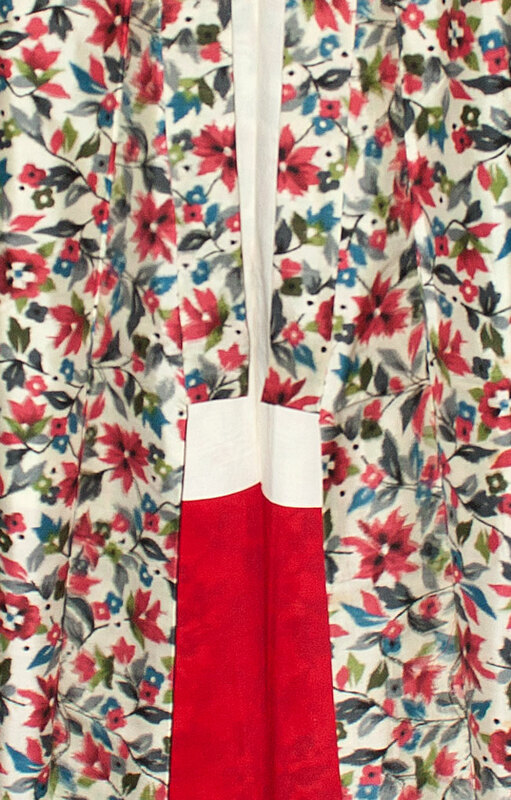 The length is 33 inches and the width from sleeve edge to sleeve edge is is 51 inches.